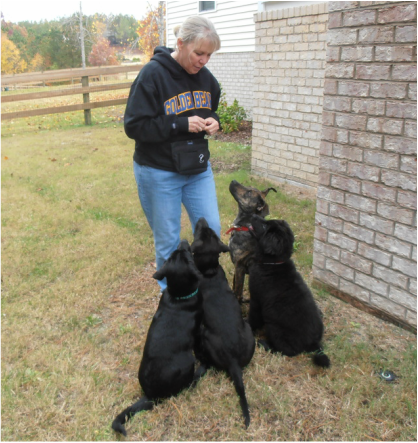 Abby Ganin-Toporek CPDT-KA of SANDHILLS DOG TRAINING LLC serves the entire Moore County, N. C area. and some of the surrounding communities. We offer in home private training and group training classes for all breeds of dogs at any age. We are aware that dog training can be challenging and Sandhills Dog Training can teach and support you in the training process. 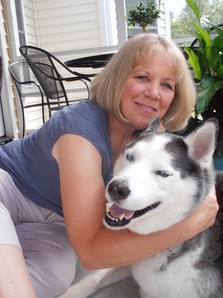 ​TRAINING with POSITIVE REINFORCEMENT is the approach of Sandhills Dog Training LLC. ​This philosophy is derived from science-based learning principles supported by documented research. It has proved to be the most effective method for both owner and dog in providing long-term learned behavior. Positive Reinforcement Training allows you to connect and communicate more effectively. Your dog is allowed to make choices which create a shared experience while training. This experience increases the bond of trust and cooperation. There is no force while training which encourages your dog to be excited about the training process. Your dog will begin to understand what behaviors are rewarded. Training with this method allows you to create a stress free and enjoyable experience for you and your dog. Positive Reinforcement Training creates a history of low stress pleasant experiences involving trust and cooperation. "Abby of Sandhills Dog Training has done so much to help me build a fantastic relationship with my rescue dog, Olaf. I called her the first week we brought him home and it was a decision I am SO happy I made, because it truly changed my life. " Maija B.